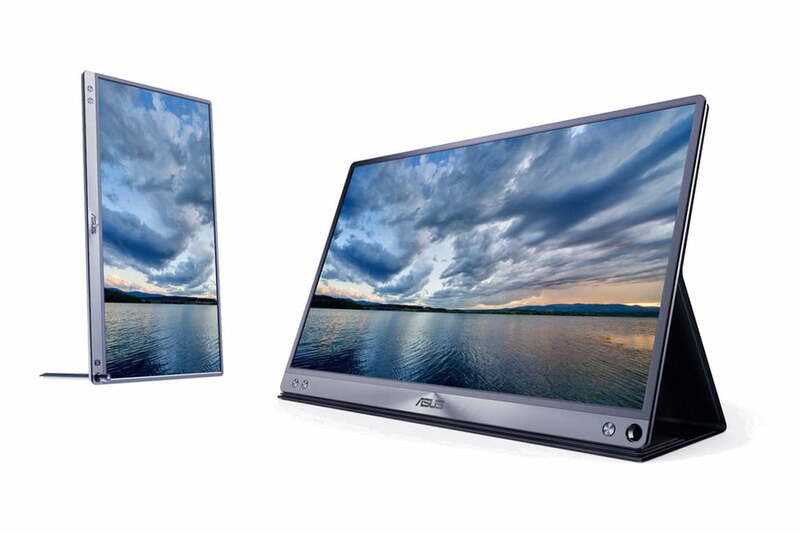 Asus has unveiled the ZenScreen monitor at IFA 2016. The device is a portable display that’s intended to offer extra screen space to users working on a laptop or a hybrid device. The ZenScreen is being pitched as the world’s lightest and thinnest 15.6-inch portable display. It weighs 800 grams and is just under 8-millimeters thick, with an ultra-thin 6.5-millimeter bezel to ensure that as much usable space as possible is dedicated to the screen itself. The device features a hybrid USB port that supports both Type-A and Type-C connections. This will be used for charging its battery and hooking up the display to other hardware — any laptop with USB Type-A or Type-C ports will apparently be compatible with the ZenScreen. A foldable smart case is set to be released alongside the device, offering extra protection as well as a means to prop it up in both portrait and landscape orientations. However, there’s another way to keep the display at a usable angle that’s pleasingly low-tech: inserting a pen into the hole at the bottom-right corner of the screen will perform the same function. 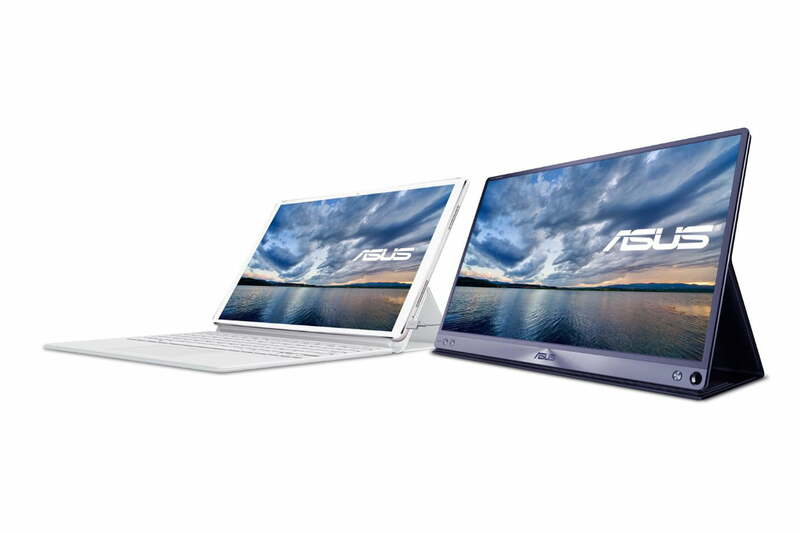 While the ZenScreen can be used with all manner of hardware, Asus does hope that people buy into its ecosystem and pair the monitor with one of their systems. The company’s ZenBook 3 and the new iterations of its Transformer range of 2-in-1 devices — which were unveiled at Computex back in May — seem like prime candidates. No pricing information or a release window was announced at this time.